JFC's strategic partner and broker/dealer Securities America has won awards for its Connect! industry magazines. Securities America’s CONNECT! 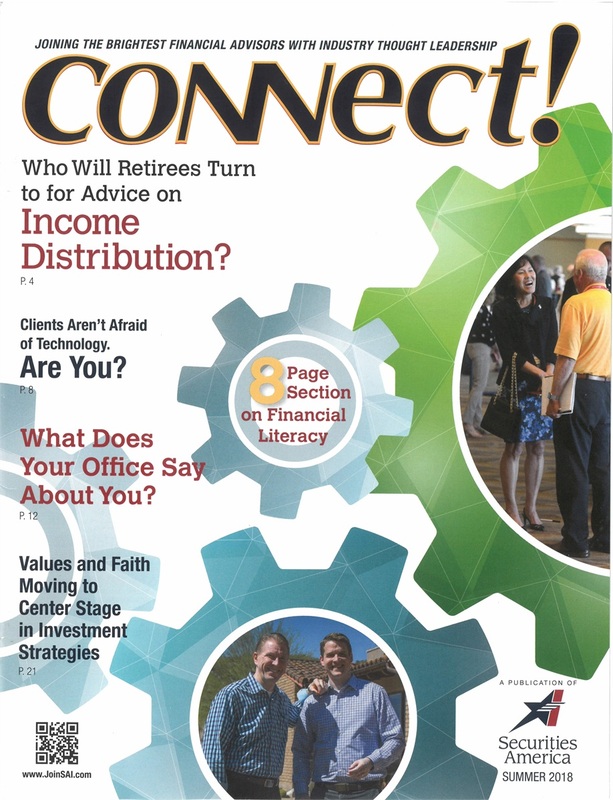 magazines contain articles on the latest industry trends and strategies involving technology, practice management, wealth management, income distribution, business growth and acquisition. This is an example of the knowledge, expertise and resources JFC has to offer advisors through our partnership with Securities America and other industry related entities and companies. JFC is proud to be affiliated with organizations that push the envelope of success and are forward-looking and - thinking regarding the needs of advisors and clients.